THE XENA SCROLLS: An Opinionated Episode Guide (203 & 204) | THAT'S ENTERTAINMENT! 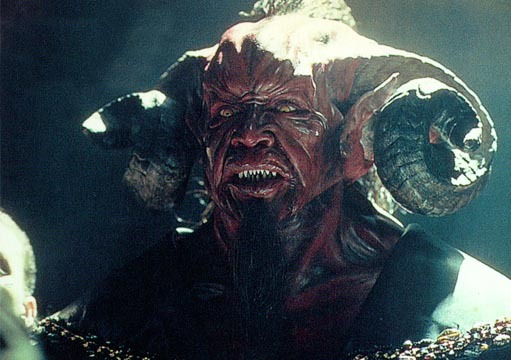 Once again, I must repeat that the series doesn’t function best when it looks to the Bible for narratives. That’s not to say that there aren’t good stories to be found in the Bible; on the contrary, there are excellent stories. 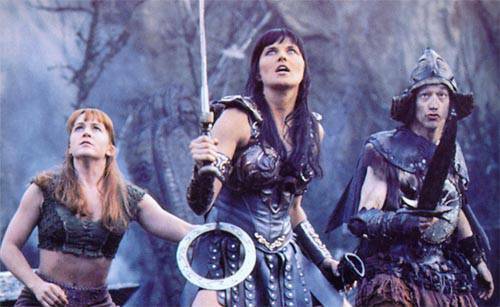 But they don’t include Xena — the most essential ingredient to every episode of this series. So how does Xena enter the plot? Well, the script does one smart thing by giving Xena some internal conflict: she firmly supports David and the Israelites, but Goliath is an old friend for whom she still cares deeply. This conflict reads excellently on paper, but because, as the Biblical story dictates, Xena is largely out of the action, this makes for a really dull episode. (And Gab’s flirtation with David is yawn-inducing.) 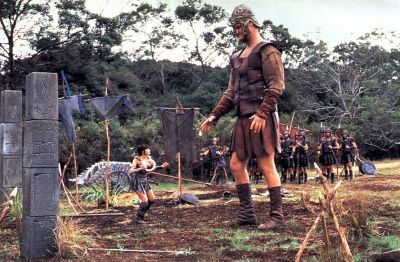 The original final act, in which Xena goes after Goliath’s nemesis Gareth — later reinserted into the classic “A Day In The Life” — gives more dramatic weight to Xena’s function within this episode, essentially turning the story’s focus away from David and Goliath and onto Xena and Goliath, which is exactly where the episode NEEDS to be. 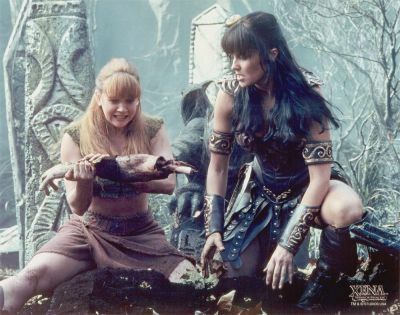 Simply put, this is one of the show’s most boring installments, and I wish it worked better than it does, but without an active Xena, this is an impossible feat. 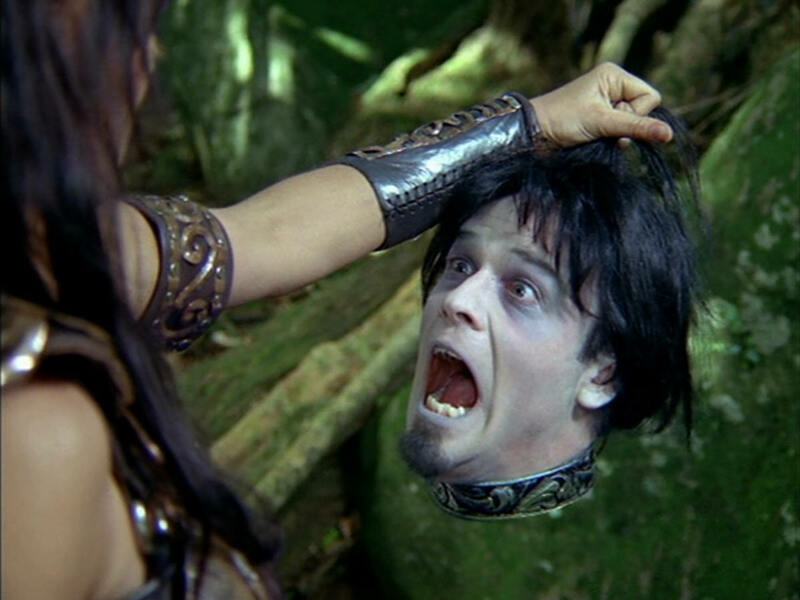 Undoubtedly one of the series’ most memorable episodes, this wacky installment is the first of only a few cases in which Xena knowingly ventures into the horror genre. But unlike several later installments, which do so earnestly, “Girls Just Wanna Have Fun,” is a campy mess of Ancient Greek vampires, neck-biting lesbians, prosthetic-clad villains, and headless pessimists. (Oh, and Joxer makes his second aired appearance.) It all makes for a pretty exciting 44 minutes. Yet, my problem with the episode comes not from its premise, which is, admittedly, pretty cool, but from the sheer fact that the style (read: the clash of horror/camp) seems to infringe on the narrative. And it’s to the point that, if we took the absurd visuals away, we’d be left with something dissatisfying. Much of this has to do with a lot of little elements that never quite work — Gab becoming a bacchae (cliche! ), Orpheus’ nastiness (which becomes tiresome fast and annoying even faster), and the fact that Bacchus isn’t a fully realized villain. However, this episode is all ABOUT the style, and it’s enough to carry the episode to memorability. As it stands, this is an entertaining installment — but only if you’re not looking for something deeper. Thanks for all of these awesome “Opinionated Episode Guides”. They’re really enjoyable to read and I’m in awe of the amount of work that it must have taken to put them all together. Keep up the good work! Compiling sources was definitely a feat, but it’s all worth it!